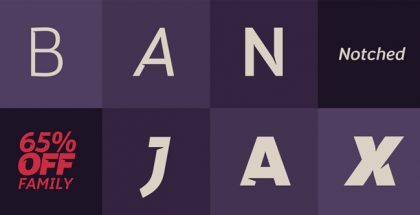 Acústica font by Carlos Fabián Camargo Guerrero (Andinistas design studio) is a beautiful and delicate font family that exudes charm and grace. 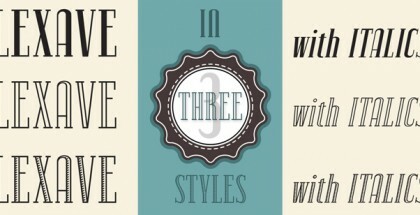 Acústica font consists of three main styles with three different type patterns – Acústica Script, Acústica Caps and Acústica Swashes. The latter two are investigations with flexible tip pen inspired by Didot capitals. They are available with the corresponding italics. 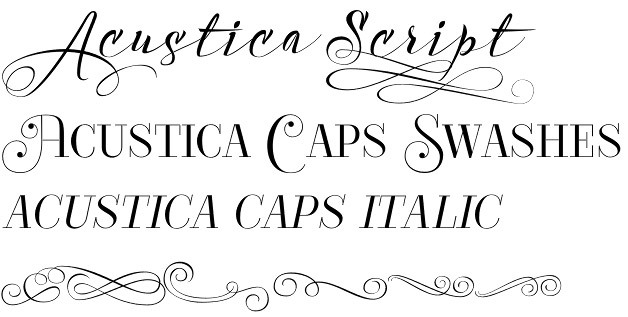 Acústica Script represents the volatile sound of a fine tip brush against rapid tracing paper. 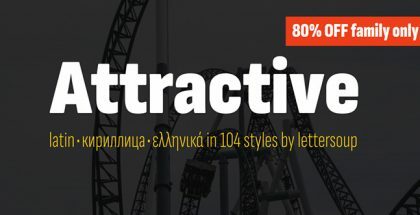 Its script path in width condensed lowercase and uppercase letters in loose horizontal proportions are generous between letters laced with long, agile and thin connecting strokes. 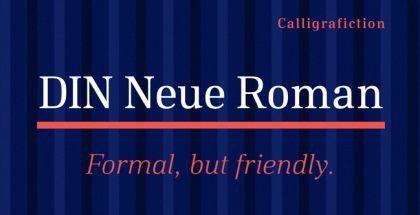 Combining the three styles and spicing with the Ornaments style you can achieve type designs full of sensitivity, charm and exclusiveness – an unique harmony between calligraphy and typography. Acústica font family was selected at the Bienal Tipos Latinos 2014. Carlos Fabián Camargo Guerrero is a graphic designer from Venezuela. 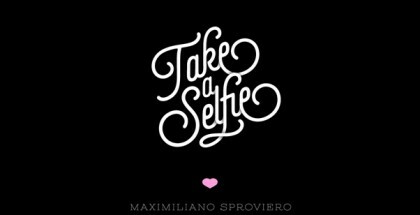 Between 1997 and 2005 he worked as a Graphic Designer and as an Art Director in different publicity agencies like: McCann Ericsson Venezuela, Leo Burnett Venezuela, Ogilvy One Colombia and SSA Bates Colombia. Nowadays, he runs the Andinistas design studio. See also Andinistas’ Gluten font and Chef Script font.